If you ride the digital prairies of Jazz Horse, but you’re a little bit embarrassed to wear an admission of that on a T-shirt, this subtle piano playing equine is the perfect thing for you. So rob a stagecoach and put the funds toward this very weird shirt designed by Felipe Sobreiro! The Greatest Generation Podcast on Maximum Fun! 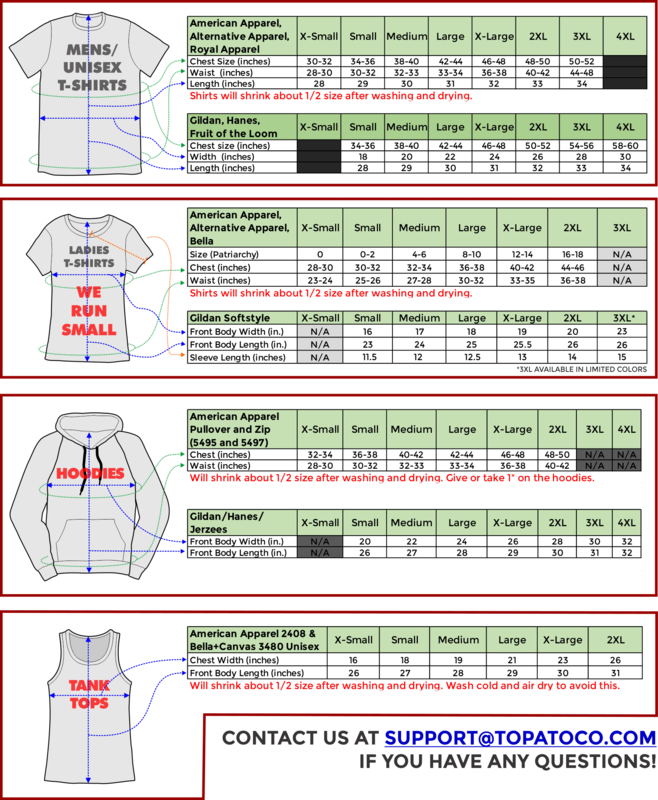 Mens/Unisex shirts are printed on American Apparel or Royal Apparel 5051 in Red (3XL and 4XL may be substituted with a different brand). Ladies shirts are printed on Bella "Favorite Tee" Ring-Spun Super Soft Jersey Knit (6004) in Red. Unisex Tanks are printed on Bella+Canvas 3480 in Red. Not sure what size you need? We have all these size charts! Always order up a size if in doubt. Nancy and Sluggo Enamel Pins!